Home Product Guides Orthodontics How will dentistry evolve in 2019? How will dentistry evolve in 2019? This article is sponsored content brought to you by Smilefast. If you haven’t been affected by the significant changes occurring in dentistry over the past decade, it’s likely you’re new to practice or have been living under a rock. 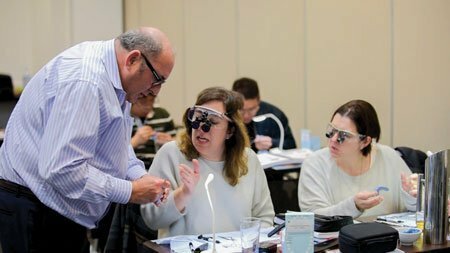 Now more than ever, general dentists are active in their search for options to grow their skills and expand their practice by delivering specialised treatments. Orthodontics is one treatment area offering dentists the potential to realise the kind of growth and business development they seek. While there will always be a need for specialist orthodontists, with correct training and careful risk management, a dentist can undertake most orthodontic cases. Dentists unfamiliar with delivering orthodontic treatment don’t realise many procedures can be delegated to a hygienist or therapist who has also received correct orthodontic treatment training. Excellent orthodontic training is key. Offered through universities and private enterprises, there are numerous choices, making it hard for would-be students to select wisely. A checklist for any dentist or hygienist contemplating orthodontic education is a good place to start the analysis of your options. Asking clear questions can help identify the most ideal orthodontic training for your needs. 1. Is the lecturer a specialist in the area he/she is lecturing? This is vital for ensuring the lecturer has the depth of knowledge required to teach course material accurately and with confidence. 2. How many cases has the lecturer completed in his/her career? With the right level of practical experience, course participants can feel confident the lecturer is sharing from a deep resource of hands-on work. 2. Does the course provider offer ongoing support? The integration of orthodontics requires ongoing mentorship and guidance. Make sure your course offers this. 4. Does the course cover risk management? Don’t overlook prudent risk management in case selection as this means both dentists and patients enjoy the greatest success through treatment. 5. Is mentoring offered through the program? Effective and timely mentoring means knowledge and confidence grow organically and better outcomes are achieved. 6. Is the education program based on sound principles? Research the detail of the course curriculum to ensure it will deliver as promised. 7. Does the program provide the knowledge and tools that lead to predictable outcomes? Understand if you can expect training to provide everything needed to practice orthodontics with confidence. The OrthoED Institute, founded by Dr Geoff Hall and Robyn Wood, offers orthodontic education for dentists and hygienists that tick all these boxes. With their Smilefast short term cosmetic orthodontic training and treatment an important first step towards skill acquisition and practice, the OrthoED model of training delivery is designed with the general dentist and auxiliary in mind. All training modules are based on sound orthodontic principles, including risk management strategies and total support and mentoring for all cases. In 2019, don’t leave your professional development training to chance. Investigate proven options that provide predictable outcomes. Access a no-obligation 45 minute discovery call with Dr Geoff Hall to understand how The OrthoED Institute can help integrate orthodontics in your dental practice. Email info@orthoed.com.au or call 1300 073 427 to schedule a time with Dr Hall. Alternatively, download the Smilefast course brochure or the full two year Mini Masters Orthodontic Education program.